On this date in 1937, the dancer Marina Semyonova lost her husband to the Great Purge. Semyonova was perhaps the premier Soviet ballerina in the interwar era before the ascent of Maya Plitsetskaya* but artistic genius conferred no safety from the purges. Least of all was that so for family members who happened to be that choicest of Stalin’s prey, an Old Bolshevik. 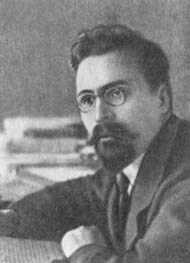 Semyonova’s husband Lev Karakhan (English Wikipedia entry | Russian) was an Armenian revolutionary and former Menshevik who joined the Bolsheviks before the October Revolution. He spent the 1920s and 1930s in various foreign policy roles, right up until the end: just a few months before his death, he had been the USSR’s ambassador to Turkey, when he received that ominous recall. He even gave his name to a 1919 “Karakhan Manifesto”, which was Moscow’s attempt to get friendly with China. Its author was more successful getting friendly with the Bolshoi’s prima ballerina around 1930, when both were married to other people. Their affair turned civil marriage without hampering the career of either partner; indeed, Semyonova had the honor and terror of accepting the Order of the Red Banner from Stalin’s own hands in June 1937, just a month after her husband had been arrested. Semyonova just continued performing, because what choice did one have? She only recently died, in 2010, just shy of her 102nd birthday — as one of the legends of her craft. * Maya Plisetskaya was also touched by Stalin’s terror: in 1937, when Maya was only 11, her father was disappeared into the gulag and killed; her mother was arrested shortly after and survived a forced labor camp in Kazakhstan. 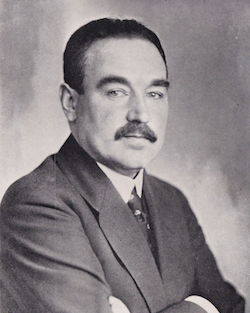 On or about this date in 1929, Russian railway magnate Nikolaus (Nikolai) Karlovich von Meck was shot as a saboteur. Von Meck (Russian link) had the iron horse in his blood: his father Karl was among Russia’s first railroad-builders after the Crimean War clock-cleaning motivated the tsar to make with the modernizing. While von Meck pere was busy laying crossties in the 1860s, the St. Petersburg Conservatory was germinating the young composer Tchaikovsky. In time, the two men would be linked by the union of their kin: our man Nikolaus Karlovich von Meck married Tchaikovsky’s niece, Anna. It wasn’t just a glancing association with the musical colossus for the von Mecks. Karl’s widow — Nikolaus’s mother — Nadezhda was Tchaikovsky’s main financial patron for 13 years. They weren’t lovers: Tchaikovsky was gay, and the reclusive Nadezhda von Meck demanded as a condition of her patronage that they never meet. But they kept up a voluminous correspondence, and Tchaikovsksy dedicated several works to her — like this Sympohony No. 4 in F minor. So Nikolaus von Meck was the genius’s patron’s son as well as the genius’s niece’s husband. He was also a brilliant engineer and entrepreneur in his own right; over the 26 years preceding the Russian Revolution, he chaired the Moscow-Kazan Railway firm that his father had begun back in the 1860s. Under the son’s leadership its rail-mileage multiplied more than tenfold. He was also one of Russia’s first motorists. Von Meck remained in Russia after the Bolshevik Revolution, continuing to work on developing the now-Soviet state’s rail infrastructure — his means reduced, he remained no less the conscientious and patriotic artificer. That held even after the man was arrested as a counter-revolutionary a few different times in the revolution’s early years; each time he was soon released. But by the late 1920s, Stalin was in full control and the industrialist would become the first subject of a new Soviet law against “wreckers”. Ostensibly designed to target the saboteurs that were supposedly retarding economic growth, it would prove its utility in the frightful years ahead as a first-rate instrument of the Terror. The prospect that any economic setback, inefficiency or controversy could be lethally attributed to a cabal of global capitalists intent on strangling communism in the crib made “wrecking” as flexible and as devastating a charge as witchcraft had once been. How do you even begin to rebut that? Wrecking would in time be attributed to innumerable purge victims, great and small, and an implied whip against every worker who might be slacking on his production quota. This potent juridical apparatus went for its first spin in the North Caucuses city of Shakhty in 1928-29. The Shakhty Trial of 53 engineers and technicians as “wreckers” also has the distinction of being Stalin’s first show trial. Von Meck and four other men* were condemned to die, a comparatively modest harvest of blood next to what was to come; 44 others went to prison. “What accomplished villains these old engineers were! What diabolical ways to sabotage they found!” Solzhenitsyn mused of those luckless souls in The Gulag Archipelago. Nikolai Karlovich von Meck of the People’s Commissariat of Railroads, pretended to be terribly devoted to the development of the new economy, and would hold forth for hours on end about the economic problems involved in the construction of socialism, and he loved to give advice. One such pernicious piece of advice was to increase the size of freight trains and not worry about heavier than average loads. The GPU [forerunner of the NKVD, which in turn became the KGB -ed.] exposed von Meck, and he was shot: his objective had been to wear out rails and roadbeds, freight cars and locomotives, so as to leave the Republic without railroads in case of foreign military intervention! When, not long afterward, the new People’s Commissar of Railroads, Comrade Kaganovich, ordered that average loads should be increased, and even doubled and tripled them (and for this discovery received the Order of Lenin along with others of our leaders) — the malicious engineers who protested became known as limiters. They raised the outcry that this was too much, and would result in the breakdown of the rolling stock, and they were rightly shot for their lack of faith in the possibilities of socialist transport. 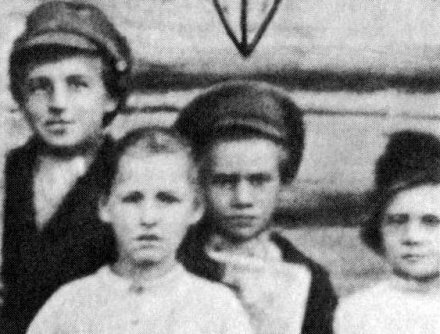 Nikolaus and Anna’s daughter Galina Nikolayevna von Meck — who did time in Siberian exile herself in the 1930s — wrote a memoir of her famous family in 1973, As I Remember Them. 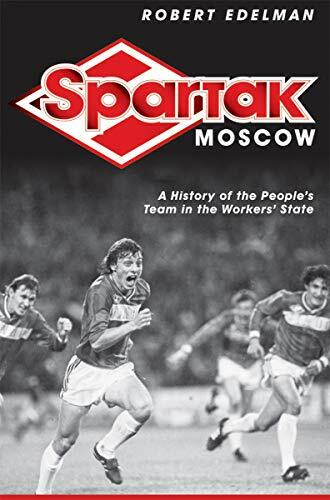 * Notably Peter Palchinsky, whose life is dealt with in some detail in Loren Graham’s The Ghost of the Executed Engineer: Technology and the Fall of the Soviet Union. 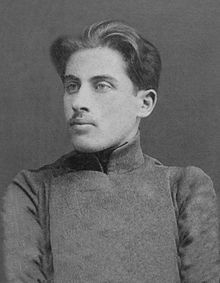 On this date in 1937, the Georgian poet Titsian Tabidze was executed in Stalin’s purges. 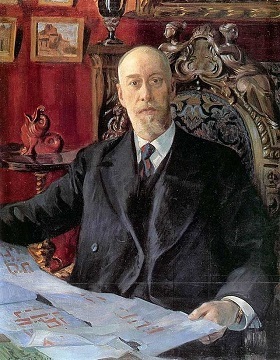 “Titsiani”, who co-founded the “Blue Horns” symbolist circle in 1916, is the addressee of fellow dissident litterateur Boris Pasternak’s Letters to a Georgian Friend. The problem was their decidedly less sentimental countryman in the Kremlin. Georgian security chief Lavrenty Beria put the screws to the Georgian writers’ association, driving fellow Blue Horns alum Paolo Yashvili to suicide when he was pressured to denounce Tabidze. But of course the only difference that made was for Yashvili’s soul. Arrested as a traitor a bare two months before his death, Tabidze defiantly betrayed to his interrogators the name of only a single fellow-traveler: 18th century Georgian poet Besiki. 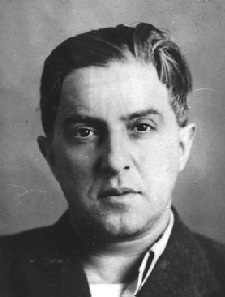 On this date in 1934, Leonid Nikolaev was convicted and (an hour later) shot for the murder of Leningrad communist leader Sergei Kirov. Nikolaev was a disaffected young man who’d come of age during the Revolution and latterly been expelled from the Party for his bad attitude. He took his frustration out on December 1, 1934, when he stalked into the (suspiciously unguarded) office of Kirov and shot him dead. The victim was much the more consequential figure in this transaction — both in life, and in death. Kirov’s murder would stand as a Reichstag fire moment unleashing the darkest years of Stalinist purges. Kirov was an old Bolshevik agitator from way back. Widely respected, he’d been the party boss of Leningrad for nearly a decade, and a few months before his murder was overwhelmingly elected to the Communist Party’s Central Committee at the party Congress. He was also, perhaps, seen by anti-Stalin factions within the party as a potential pole of resistance to Stalin* — though his weight as an “opposition” figure has also grown with the hindsight knowledge of what came next. to terrorize completely all critics and oppositionists, and this time not by expulsion from the party, nor by depriving them of their daily bread, nor even by imprisonment or exile, but by the firing squad. To the terrorist act of Nikolaev, Stalin replies by redoubling the terror against the party. Stalin personally oversaw the investigation, even personally interrogated Nikolaev. And no surprise: the investigation’s casualties multiplied with alacrity. In January 1935, Stalin had his long-neutered old rivals Zinoviev and Kamenev** preposterously convicted for “moral responsibility” for Kirov’s murder. Though they weren’t death-sentenced directly for this “responsibility” their condemnation set them up for their fatal show trial the following year. (Which included public confessions of involvement in the Kirov affair.) Guilt in Kirov’s death would be routinely bolted onto the show trials of political opponents for the remainder of the 1930s. 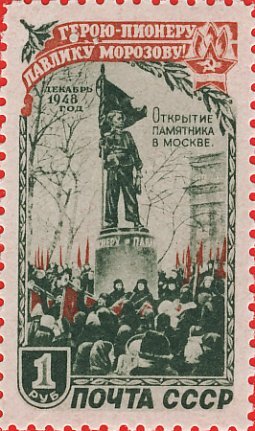 Stalin mined this terrorism panic so nakedly and purged so widely that the belief that Stalin himself ordered Kirov’s murder has long predominated. This theory of Stalin’s master orchestration also happened to be very convenient (pdf) for the post-Stalin party; Khrushchev directly hinted at his predecessor’s complicity in the secret speech. That theory remains highly contestable. Matthew Lenoe in particular has vigorously disputed the idea that Stalin ordered everything in his acclaimed The Kirov Murder and Soviet History; there’s an informative Q&A with Lenoe on the invaluable Sean’s Russia Blog here, and a podcast interview on the New Books Network here. For a bit of background on Lenoe’s research, click here. * Foreshadowing the unwelcome independence Leningraders enjoyed post-World War II … until Stalin smashed it. ** Nikolaev, the disaffected party member, was a Leningrader himself. That meant that when he was still in the party, it was in Zinoviev’s Leningrad party, since that city happened to be Zinoviev’s base and stomping-ground. And that meant that he must ipso facto have been part of the “Zinovievite Opposition”.